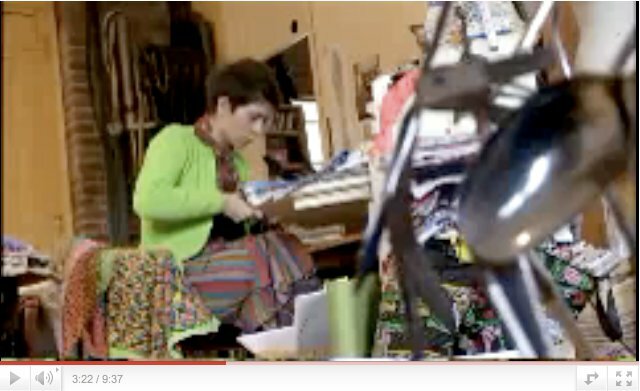 Watch our very own Holly B. in the "Weaving" episode of BBC's Mastercraft series. Go to you tube clip. [Skip to 3:16mins for her debut]. Holly features on the Offset Warehouse Ethical Directory as a freelance designer and consultant. And with the exciting arrival of her new loom, we are also looking forwards to seeing some of her fabulous textiles in our haberdashery and boutique at the end of the year! If you missed the show you can download it here. Visit our Shop where you can purchase a huge range of ethical fabrics and haberdashery, and our Boutique to grab the latest eco-ranges! Visit our Ethical Directory, for links to the people and services you need to be ethical in clothing and interiors... from print designers, to embroiders, to manufacturing units! Follow our Twitter page and Blog for the latest in ethical fashion & interiors.